Already the name makes you think of astronauts, spacesuits, HAL and more. Completely recapped and serviced. This is the second one which I have to fully recap. The tantalums failed just one after each other and the eletrolytics didn’t look good either. In total that’s about 64 caps to replace! By the way, the Ursa Major Space Station service manual is a great example on how a well made service manual should look like. Starting with a section on the operating principle, through the fault analysis, this is an exeptional read and can even teach some stuff too! Highly recommended! 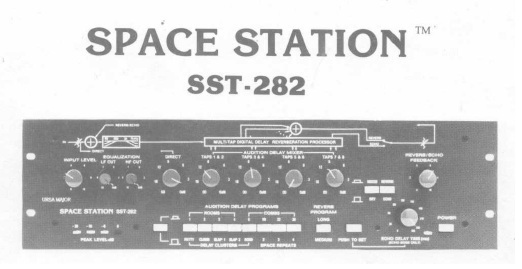 A lot of interesting info about the story of the SST282 SpaceStation can be found on Chris Moore’s Sevenwood Audio webpage along with all the service manuals and other documentation.